The bills propose allowing voters who have an unexpired Texas driver's license or personal identification card to complete an online voter registration application that would be automatically authenticated. The current procedure requires voters to hand print a paper registration form to submit to local election officials who then manually data-enter the information into their systems to verify it. The online registration process would have used the same state web systems and back end computer systems as used to process online driver's license renewals for the Texas Department of Safety. 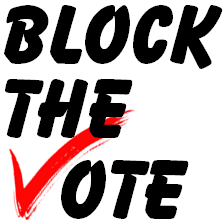 Bill sponsors and county election registrars across Texas have promoted online voter registration as a way of curbing the government waste that comes with manually handling paper registrations, which is costlier and more labor-intensive than the automated online alternative. Clinging to the outdated manual paper-based voter registration process, a handful of Republican Harris County officials, while giving public comment to the House Elections Committee last week, expressed concerns online voter registration could compromise voter privacy and lead to fraud at the ballot box. Among those from Harris County opposing the bills were Tax Assessor-Collector Mike Sullivan, Ed Johnson of the County Clerk's Office and Alan Vera, chairman of the Ballot Security Committee of the Harris County Republican Party. Sullivan's county Tax Assessor office responsibilities include the duties of county voter registrar. Sullivan, echoing comments of the two other Harris County Republicans, expressed unease with the security of the state software that would handle voter registration. Vera expressed concern online sign-up would make it easier for voters to be impersonated at the polls, saying the "main fuel for voter fraud is registered voters who don't show up to vote." They all expressed fear of using the same technology the State of Texas uses for online driver's license renewals for voter registrations. Johnson told the committee he feared people would use an online voter registration system on mobile wireless smart devices, like iPads, to ask people for their drivers’ license to collect their data. The Texas Secretary of State website already has such an online voter registration look up webpage as does Sullivan's Harris County Tax Office website. Most Texas counties now offer a online voter registration look up on their county .gov websites. 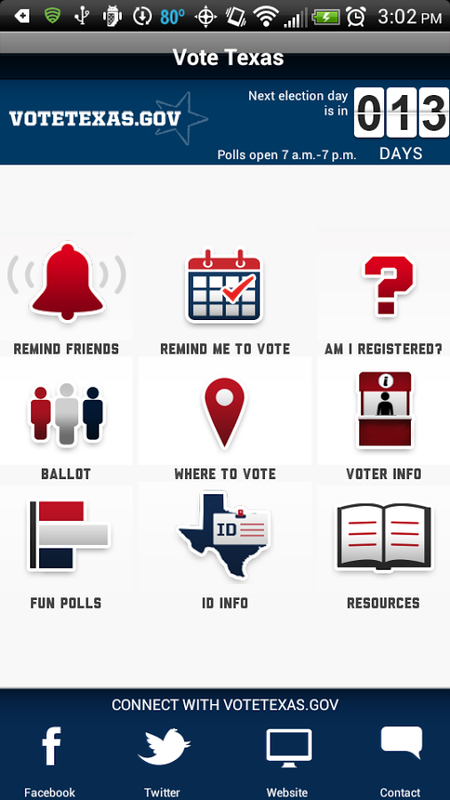 There is also a VoteTexas.Gov mobile App that can be downloaded to mobile device that includes a "Am I Registered" voter registration look up click. The comments of Republican Harris County officials stand in stark contrast to others who strongly supported online voter registration in their comments to the House Elections Committee. Todd Kimbriel, Interim Executive Director of the Texas Department of Information Services, which, among other IT duties, oversees Texas' payment portal for all state agencies, including Texas' Department of Safety, testified the department processes 2 million transactions a month and over $2 billion worth a year without a single instance of compromise. Kimbriel said the Texas Information Services Department could easily manage online voter registration and could see no issue with processing capacity, privacy, or security, as raised by Republican Harris County officials. The Texas Association of Elections Administrators also urged the House Elections Committee to pass the online voter registration bills onto the House floor. Samuel Derheimer of the Pew Charitable Trusts, a nonprofit based in Washington, D.C., told the committee recent Pew polling research found more than 60 percent of Texans support online voter registration, with a substantial portion of those polled saying they thought the state already has online voter registration. "No state with online voter registration has reported fraudulent activity or security breaches occurring through their systems," according to Pew research. Twenty states have already implemented online voter registration, with legislatures in six more states recently passing online registration laws that have not yet taken effect, according to the Nation Conference of State Legislatures. Studies by Pew and other organizations of the states that already have online registration show it actually reduces fraud and virtually eliminates errors due to poor handwriting and other flaws of manual paper-based systems. In Arizona, the first state to implement online registration in 2002, about two-fifths of voters now register online. Arizona officials have reported their online system completes voter registrations for 3 cents apiece, versus 83 cents under the manual paper-based system. HB 953, Rep. Carol Alvarado (D-Houston), has commented that online voter registration could save the state as much as much as $11 million.